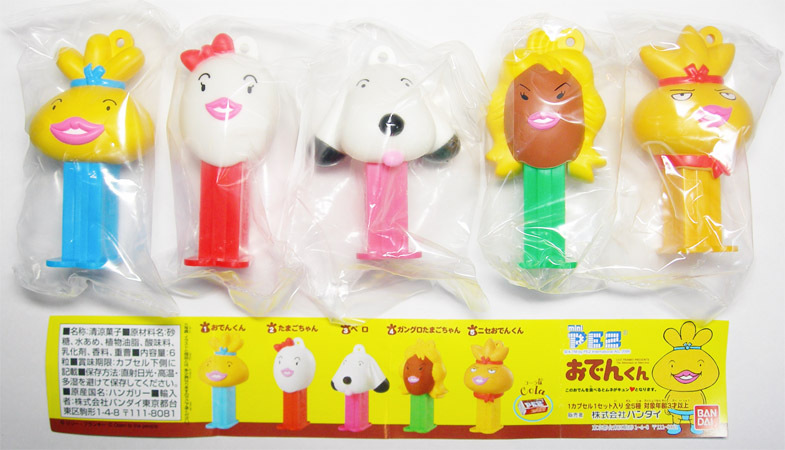 Pez Candy is not included. 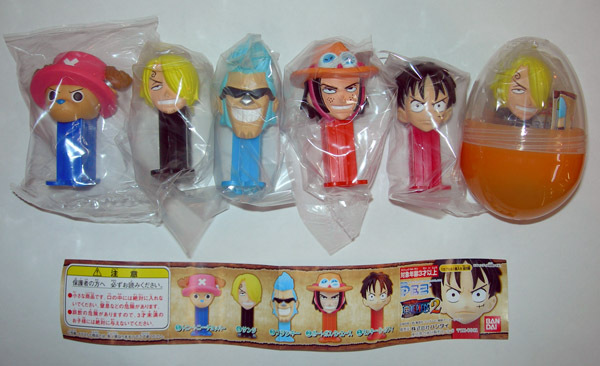 One Piece is Japanese Animation. 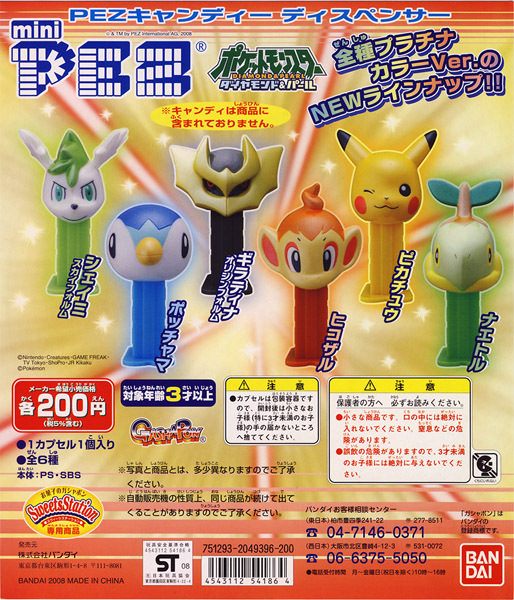 Pokémon anime movie, Giratina and the Sky’s Bouquet: Shaymin was released in Japan on July 19, 2008. 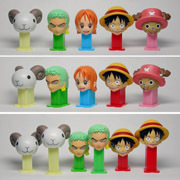 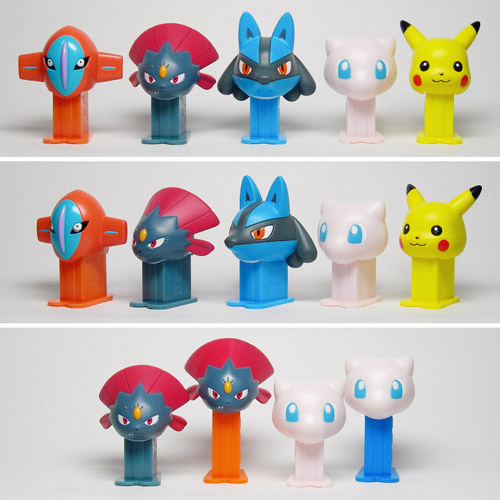 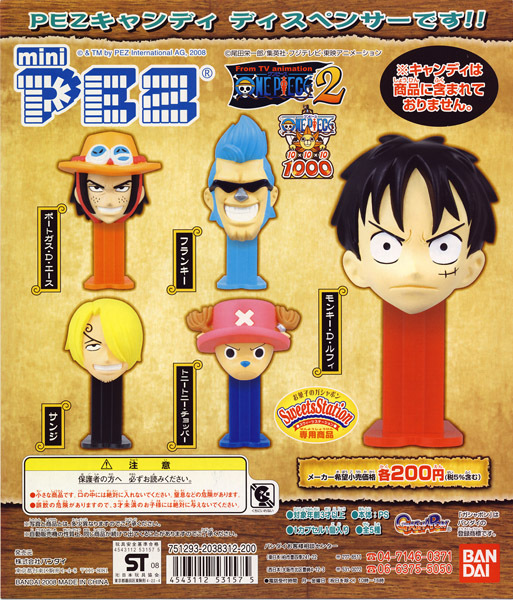 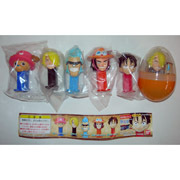 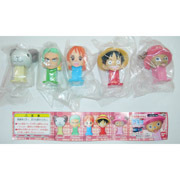 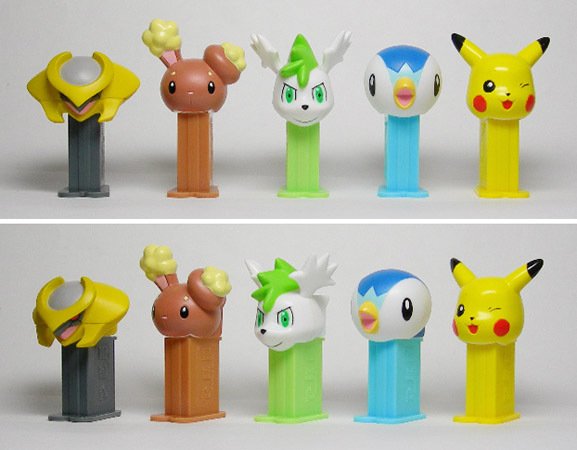 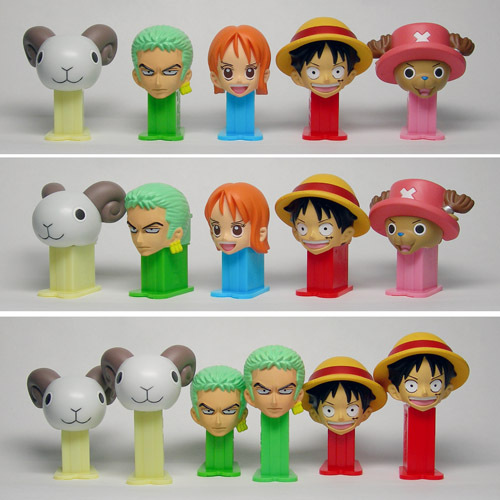 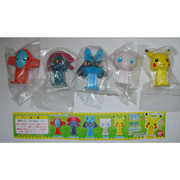 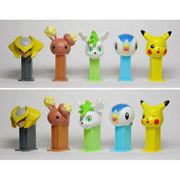 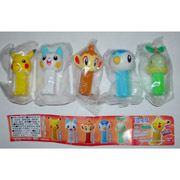 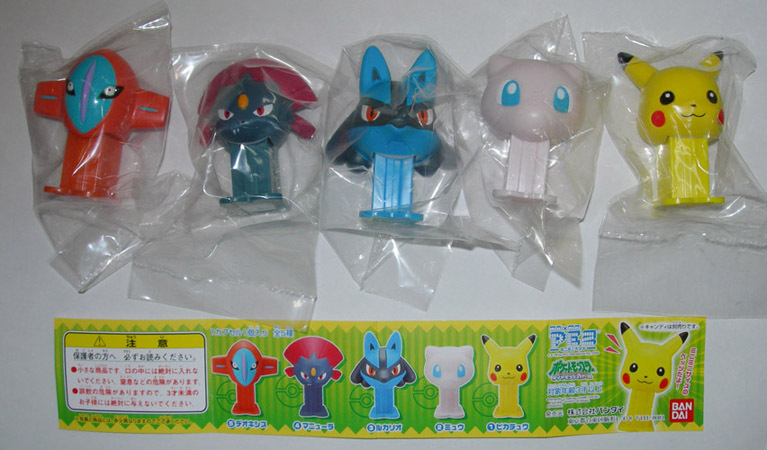 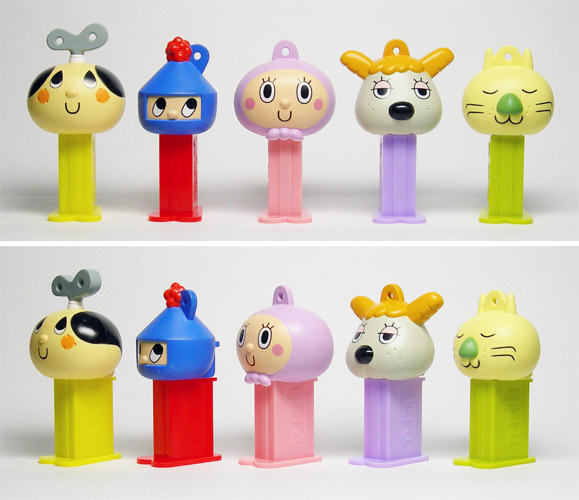 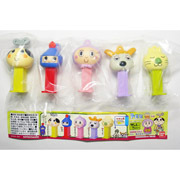 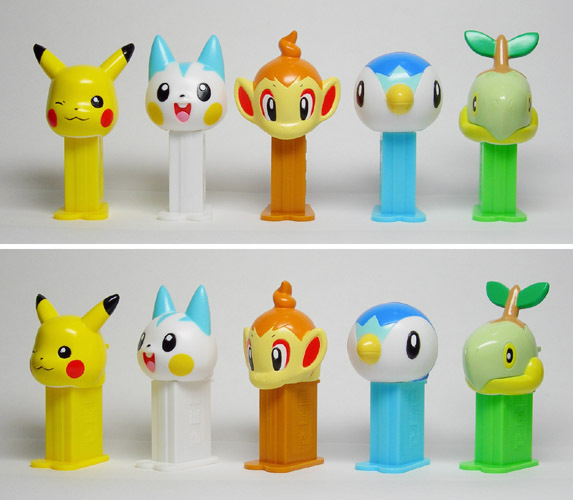 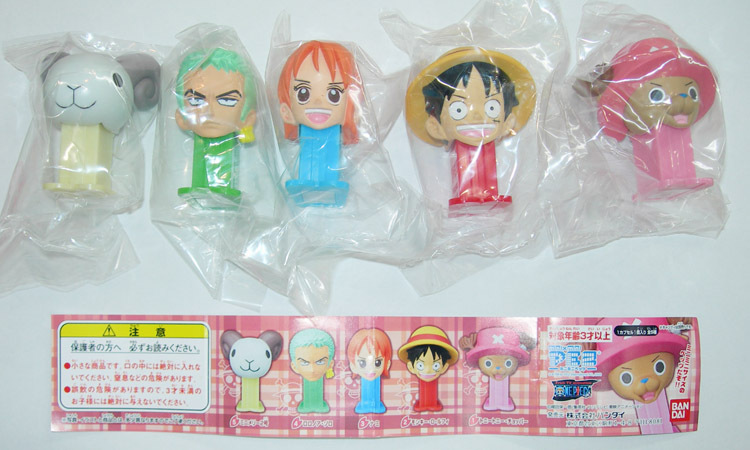 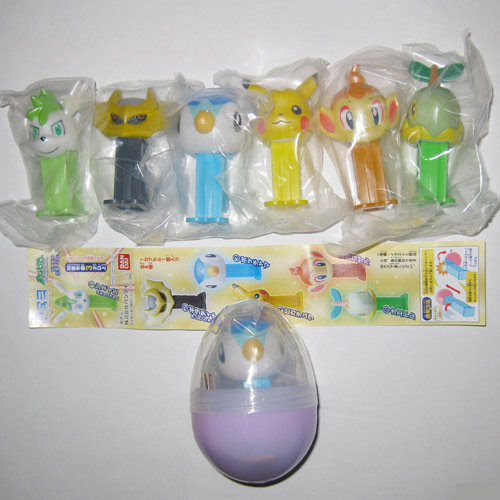 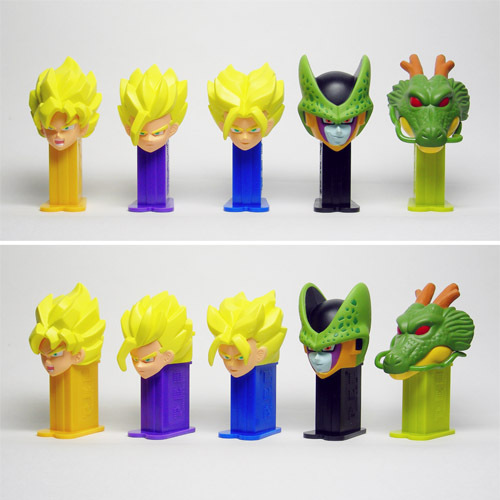 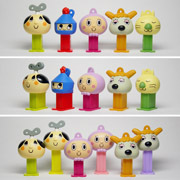 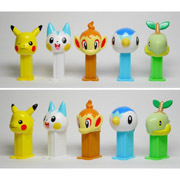 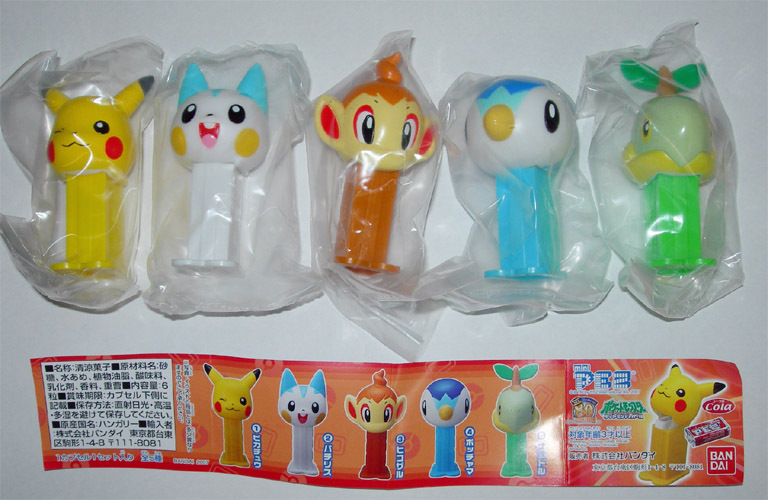 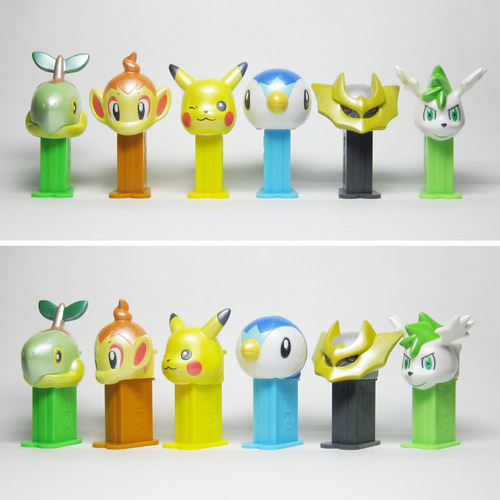 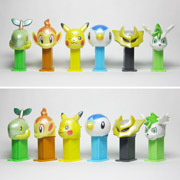 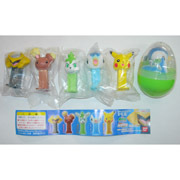 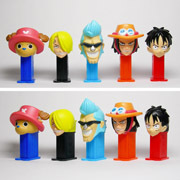 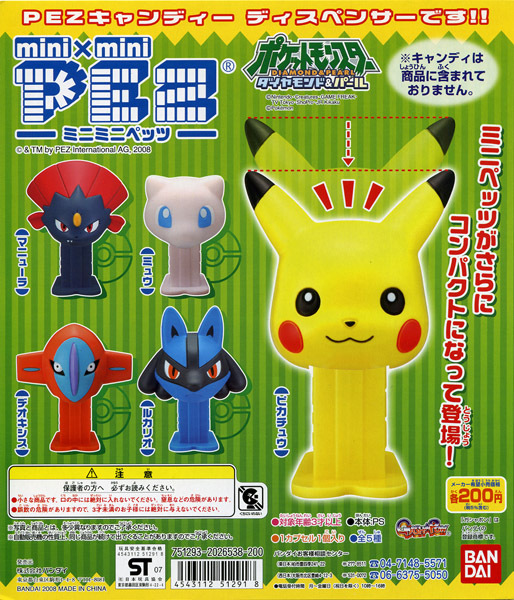 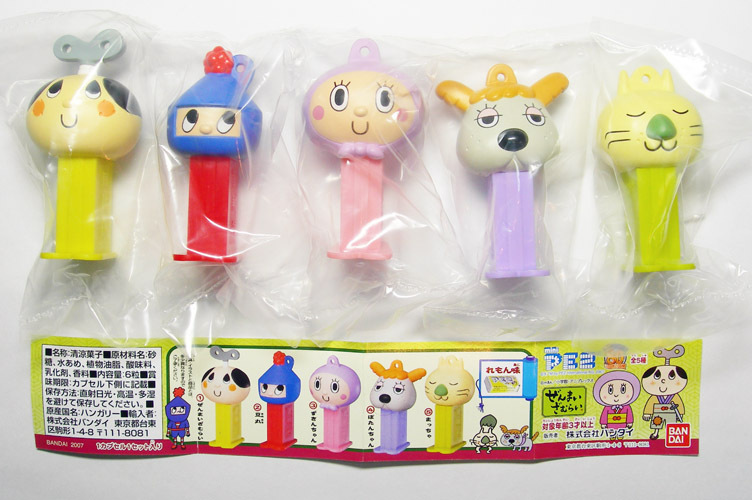 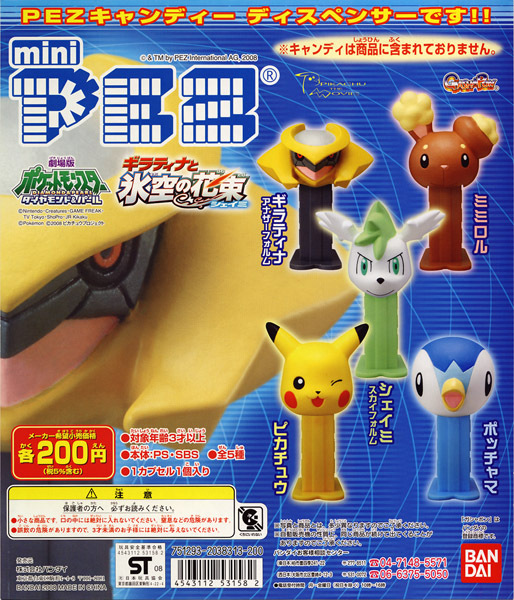 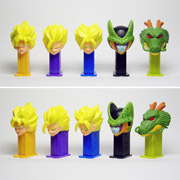 These are mini x mini PEZ Series. 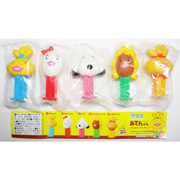 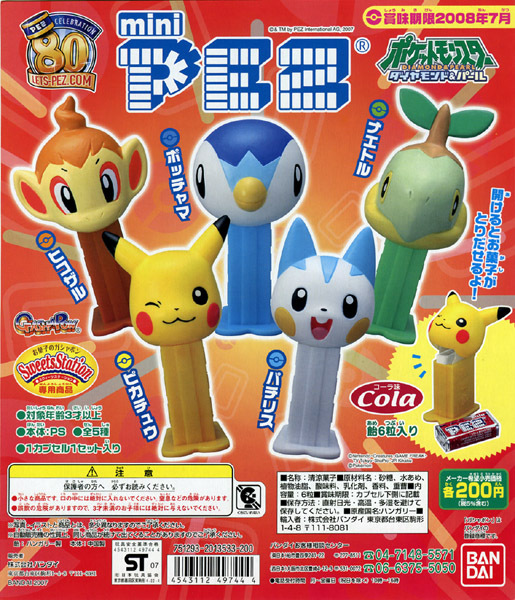 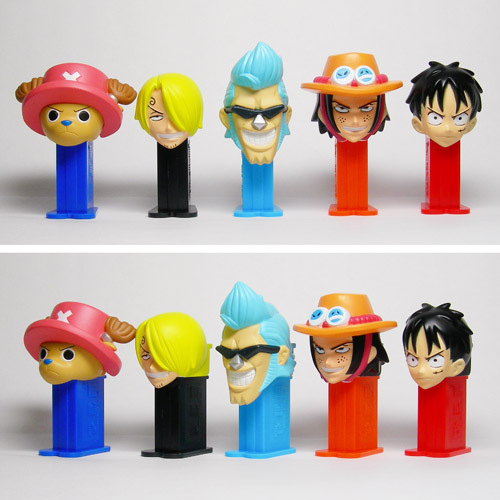 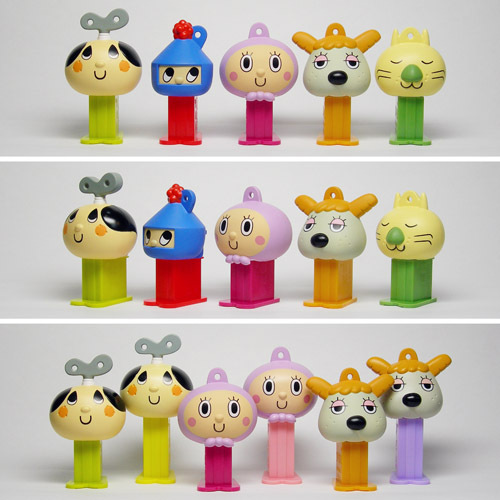 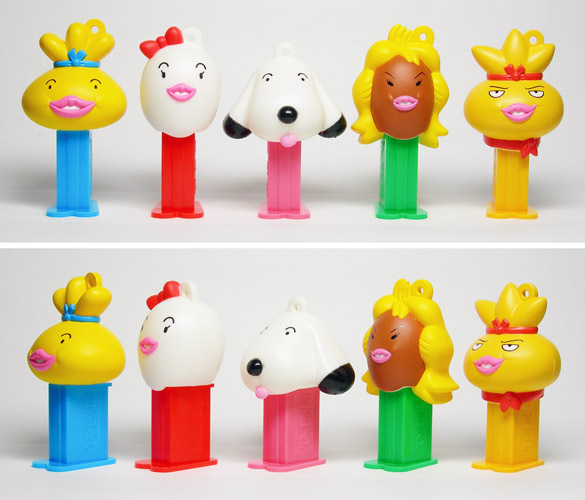 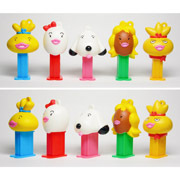 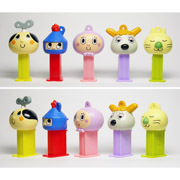 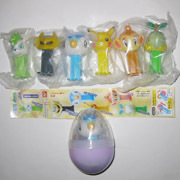 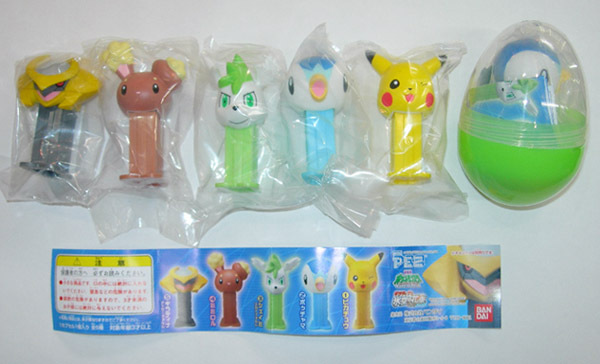 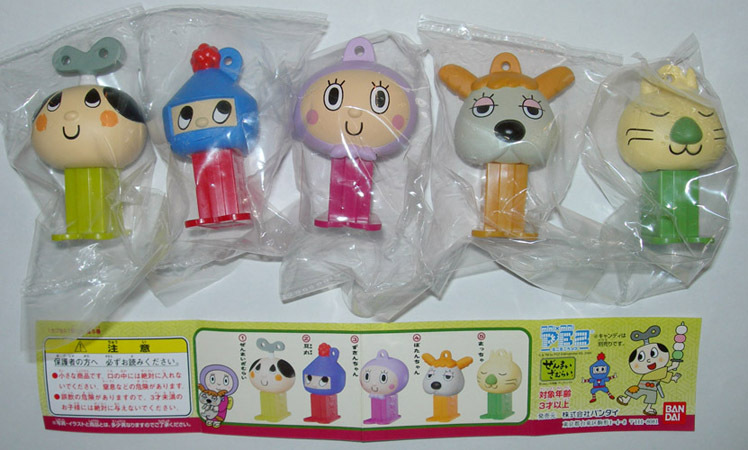 Each heads are same, but stem length is shorter than miniPEZ. 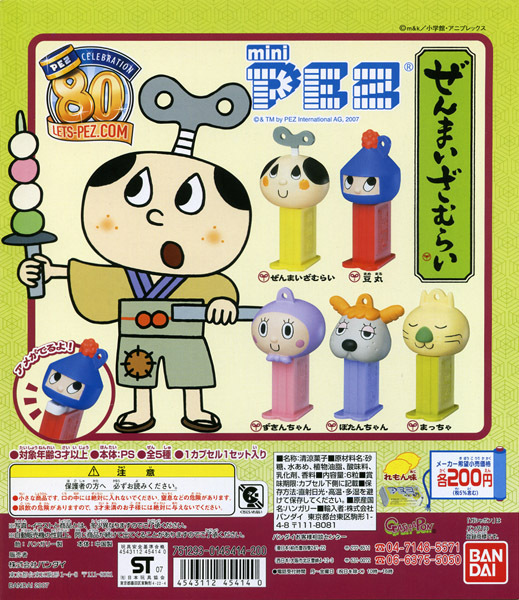 Zenmai-Zamurai is Japanese TV Animation. 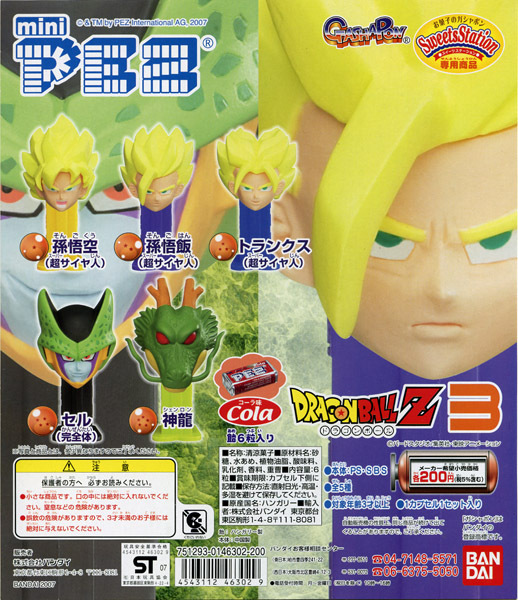 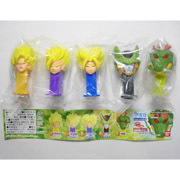 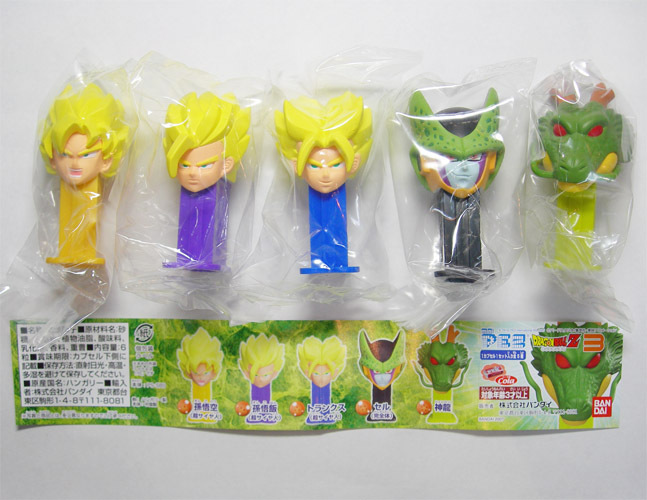 Dragon Ball Z is Japanese Animation. 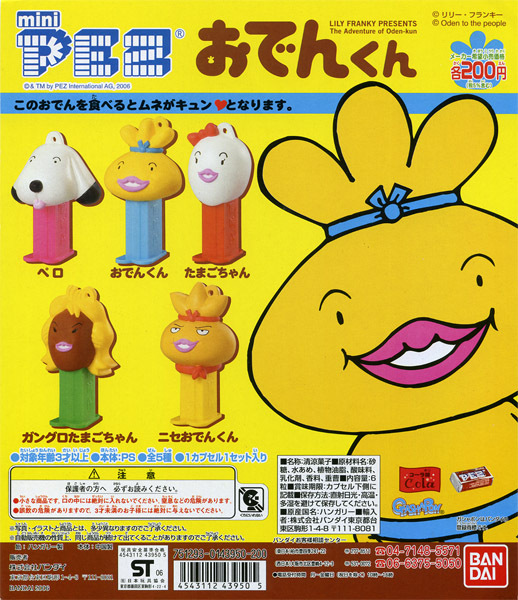 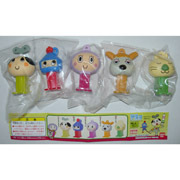 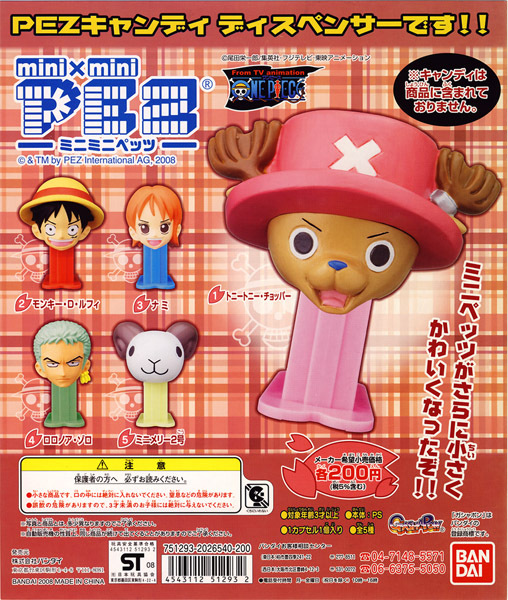 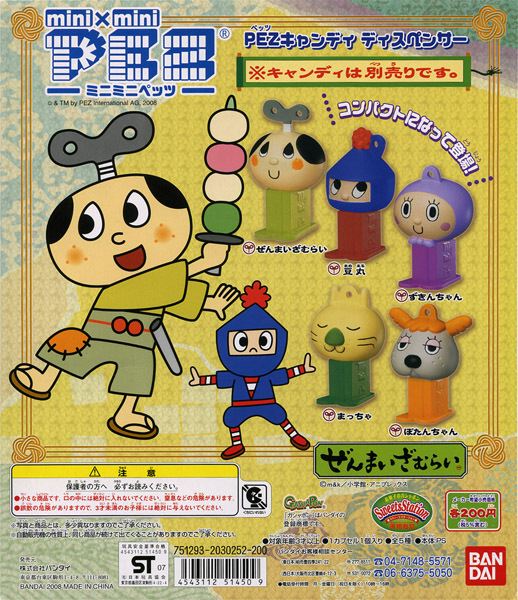 Oden-Kun is the character from the Picture Book and TV Animation.